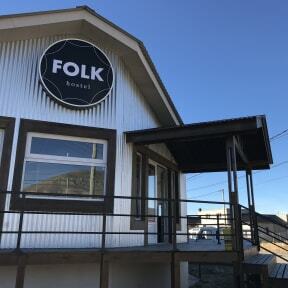 Folk Hostel would like to join you in your trip to Patagonia just to make your stay super cool... we offer you great accommodation in dormitories and private rooms with all the facilities you may need. Our land is such a special area where to travel around because it offers you stunning views of the Andes Range, fabulous experiences by the Patagonian Ice Field and a great opportunity to get connected with the natural scene. Our breakfast is included and we´re located right in between the Bus Station and Downtown :) We'd be also glad to help you to organise your agenda in El Calafate providing you information about cultural activities, tours and trips and the best advice for eating and drinking in town. We are located in El Calafate, main entrance to Los Glaciares National Park where you´ll find Perito Moreno Glacier, the Argentino Lake, the Andes Range, boat trips to Upsala and Spegazzini Glaciers, buses to El Chalten and lot of activities to create you own adventure in Patagonia, as horse ridings, kayaking, bike rides and great treks on the mountains. In town you could also visit the Calafate Mount, the Birds Reserve Nimez Lagoon, Glaciarium, The Natural History Museum and some 'Glaciobars'. 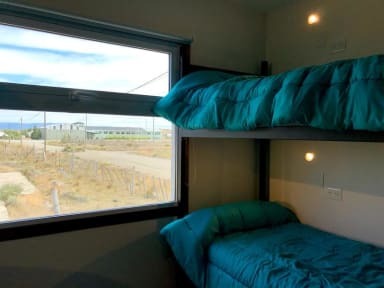 We provide accommodation in private rooms en suite well equipped with bath tube and matress bases; private rooms with shared bathrooms and shared dormitories of 4 and 8 people with shared bathrooms. In addition, we have several common areas where the guests and travellers con meet each other.